The goal of the Victor E. Garden is to provide a campus community garden experience to enhance gardening information and skill and to provide healthy produce for members of the campus community. While we do make produce from the garden available to campus community members through the Tiger Food Exchange, you do not need to be food insecure to join this campus community garden project. All students, faculty, staff, and even alumni are welcome to volunteer in and harvest from the campus community garden. Students, faculty and staff are welcome to make use of the Outdoor Classroom and picnic space located under the shelter at the Victor E. Garden. The garden is located just east of the Robbins Center in the low lying area near the creek. The garden schedules regular work sessions during planting and harvesting seasons. Please check the Events Calendar for dates and times. The Tiger Food Exchange, located on the first floor of Forsyth Library just around the corner from the wall of news media screens, provides a central location for the campus food pantry. The space is available to drop off as well as pick up food, is a distribution point for garden produce for secure as well as food insecure patrons, and is a research space with information about nutrition, cooking and gardening. The pantry is well-stocked with canned and packaged foods, whole grain and legume dispensers, and a small supply of meats, much of it raised by the University Farm. The pantry is a distribution point for Victor E. Garden produce, both fresh and frozen. The Food Exchange also stocks a small supply of toiletry items such as shampoo and soap as well as laundry packets containing laundry detergent and dryer sheets for 1-2 loads of laundry. Cookbooks, nutrition and gardening posters and informational handouts, and other food and hunger resources are available in the Tiger Food Exchange. Each Friday during the Fall and Spring semesters the Tiger Food Exchange hosts Fresh Food Friday, where we make fresh foods such as fruits, vegetables, or cheese sticks available for the campus community (while supplies last). The Tiger Food Exchange also host special events in the pantry such as Breakfast Tacos, Soup of the Day, or Pasta or Potato Bars. Watch for advertisements for these special events and join the campus community as we gather in the Tiger Food Exchange to share a meal. Interested in donating to the pantry? We have a shopping cart in the Tiger Food Exchange where you can leave small donations. By our handout stand you should be able to locate a receipt pad where you can take a receipt to record your donation for tax purposes. Please do not place donations on the shelves. We inventory the items and, as a result, we need to process them before placing them on the shelves. 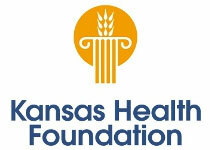 FHSU thanks the Kansas Health Foundation for its 2014-16 Healthy Living Grant. This generous grant made possible much of the infrastructure for the Victor E. Garden and Tiger Food Exchange.  Many thanks, too, to FHSU administration and the Physical Plant for its tremendous support and to the FHSU Student Government Association for Educational Opportunity Grants and other funding that has supported the work of these two important projects. And, finally, thanks to all the faculty, staff and students whose vision and labor have made these food and hunger initiatives possible.